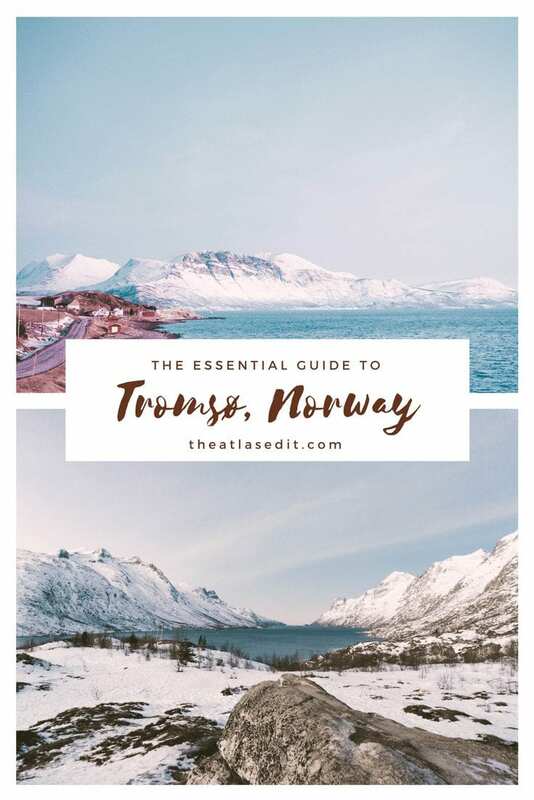 The Essential Guide to Tromsø, Norway (And How to See the Northern Lights) | The Atlas Edit. 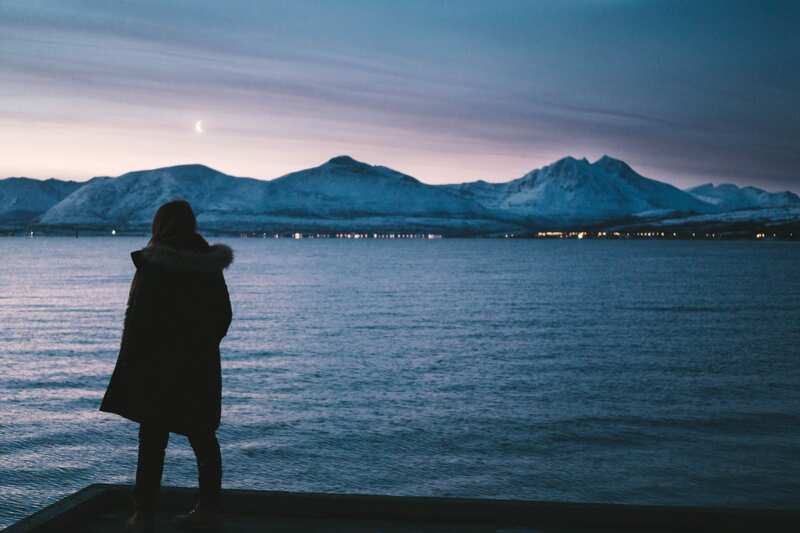 After a failed attempt at catching the Northern Lights in Iceland, we were left with our last hope – Tromsø, where we heard was one of the best spots in the world to catch the Aurora Borealis, with less erratic weather than Iceland. Visit in winter. The aurorae is only visible when the sky is completely dark, so the chances are higher when you have fewer sunlight hours. Pray for clear skies. Obviously, this isn’t something you can control, but look out for weather forecasts on the day you plan to do some aurorae hunting. Even the slightest bit of clouds may drastically lower your chances of spotting the lights. Check for solar activity. If you want to get all scientific, the pretty lights dancing in the sky are actually caused by geomagnetic activity occurring between our Earth and the Sun. The lights are actually a result of electrically charged particles released from the Sun that enter the earth’s atmosphere and collide with gases on Earth (more info here). I use this forecast site to check my chances of spotting the Northern Lights. Basically, the higher the kp, the better your chances. Escape the city lights. 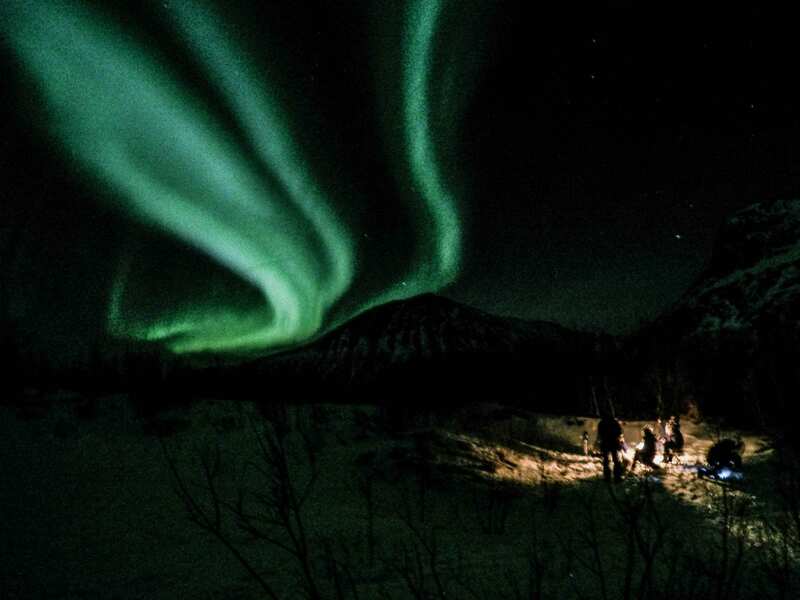 The best way to see the Northern Lights is under a dark sky. The darker the sky, the more vivid the lights will be. So, try to get away from light pollution as much as possible for the best chances of viewing. With that said, I would highly recommend following an experienced tour that knows the best spots to view the Northern Lights. 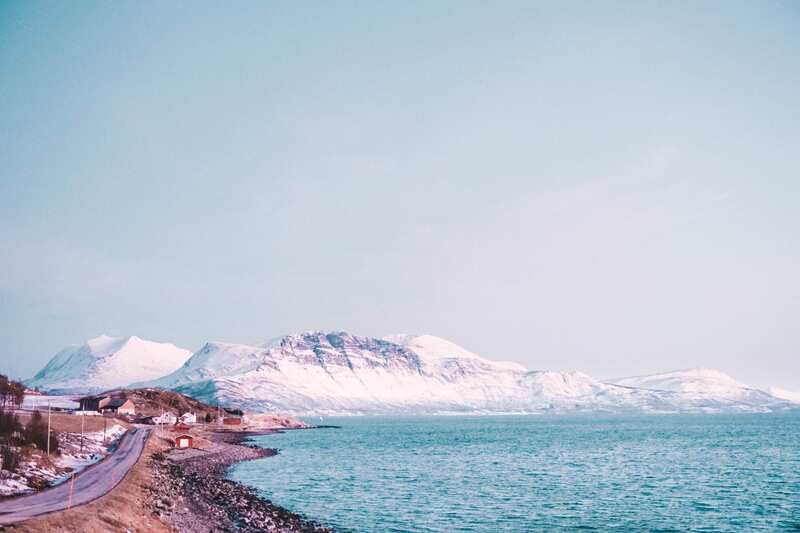 Before I left for Tromsø, I mapped out a few areas that were supposed to be optimum viewing points, but there posed the challenge of having to rent a car and driving there ourselves. As I mentioned before, you will be driving out of the city to get away from light pollution, so you will be likely driving through pitch dark roads, which can be a bit of a scary situation being in a foreign land. Also, they call it “Chasing the Aurora” for a reason. 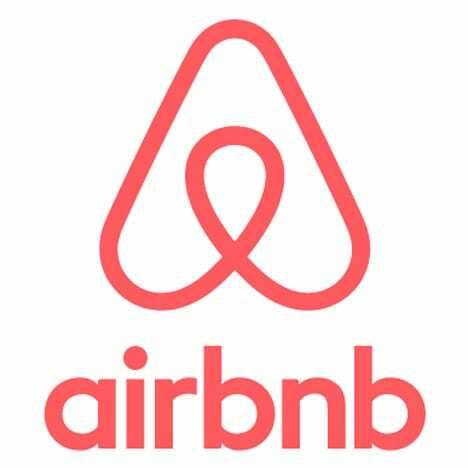 The best views of the lights aren’t always at the same spot every night, so experienced tour guides will know of where to look out for, and will take you to specific spots that are supposed to have the highest activity that particular night. We opted to go with Aurora Tours, which turned out to be a fantastic experience, and we were certain we would not have made it on our own! We were told to bring our passports as sometimes they might “chase” the aurora even across the border into Finland. Our guide took us through the darkest, most secluded sights where there were no other cars. We had to try a few spots before we actually got to the best one to set up camp for the rest of the night! Our guide set up a campfire to warm up and then we sat around roasting marshmallows while admiring the beautiful dancing lights above us! So, DIY-ing this chase isn’t as easy so I wouldn’t recommend it. Plus, you’ll miss out on all the awesome perks of hearing stories from your local guide! More Aurora Tours here. This is what I looked like bundled up in about.. 248 layers of clothing? If you’re planning to do some Aurora hunting, be prepared to be out in the cold for hours. And as I mentioned, your aurora hunt will likely coincide with the winter months when there is less sunlight, so temperatures can range from -15°C (5°F) up to 8°C (46°F). When we visited in early January 2016, the mercury maintained at below zero even in the daytime. So you can imagine how cold it would be standing out in the open for hours in subzero temperatures and no sun. For this reason, you’ll need to pack smart. Splurge a little on really good thermal wear. We bought a few HeatTech thermal wears from Uniqlo, and also some that were made of Merino Wool (that came highly recommended by others who’ve visited this region) from IceBreaker and tested them out. The IceBreaker ones won hands down. They are a little pricier than the ones from Uniqlo but sooooo worth the money because they keep you so warm. And when you’re indoors, it keeps your body heat regulated so you don’t get too hot either. Don’t wear cotton. Cotton absorbs water, and so that means any moisture in the air or even perspiration from your body. And when you have damp clothes close to your body, you’ll feel cold. When we were shopping for sweaters for this trip, we made sure to read the labels to see what they were made of. Some really great materials are fleece, wool and polyester. Anything that can wick off moisture and isn’t absorbent. This applies to socks too, avoid cotton socks or you’ll end up with frozen toes! Get a good pair of waterproof pants. Jeans or any type of cotton pants are a no-go. It’s going to be snowing, and you wouldn’t want to be walking around with wet pants the whole time. It’s really uncomfortable, trust me. Pack extra batteries. Your devices will drain a lot faster when you’re in a cold climate, so definitely pack extra batteries and battery packs if you intend to use your cameras to capture the Northern Lights. It might also help to keep your devices warm in a pouch, and not expose them to the cold unless you’re using them. If you’re looking to photograph the Northern Lights, you probably won’t be able to capture them with your smartphone. A camera that is capable of long exposures such as a DSLR or a mirrorless camera. If you’re looking for something light and compact, I love my Sony A6000. It’s a slightly older model, so there are newer and better ones such as the Sony A6500 and the full frame A7S II. A good tripod that can withstand the cold weather – some tripods can freeze up and get stuck. You’ll need to place your camera on somewhere sturdy, so hand-held shots won’t work. A GoPro for those time-lapses (like in my video below!). I captured most of my Northern Lights footage on my GoPro, as I can leave it to take multiple shots in a span of time, and stich together to get videos of the Northern Lights in action! You’ll also need a tripod for your GoPro. Watch the video to see my Northern Lights footage! 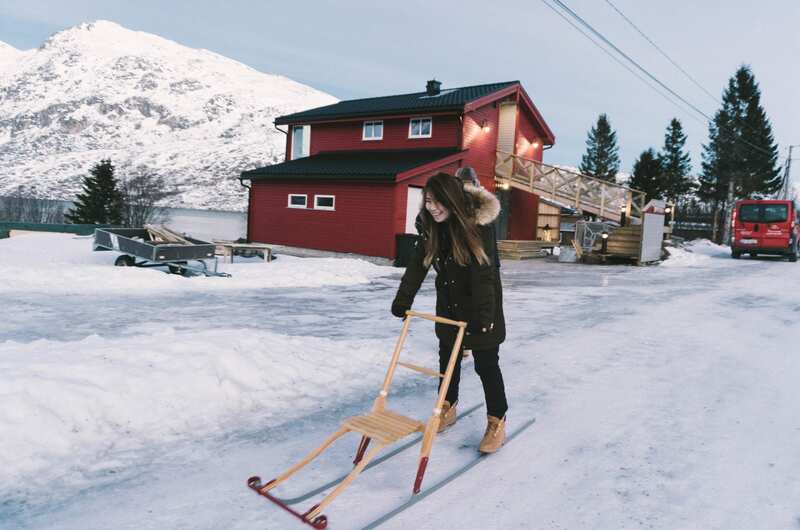 There’s plenty else to do in Tromsø besides chasing the Northern Lights! 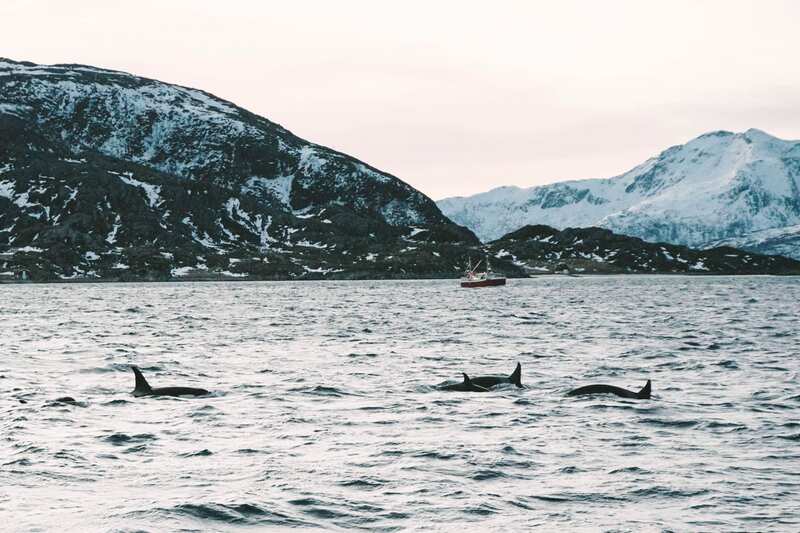 Whale season is usually between early November and early February which coincides with the perfect time for Aurora hunting, so this is a great day activity you can do while in Tromsø! As you can see, there are plenty of these whales, so you’ll be seeing them all around you! 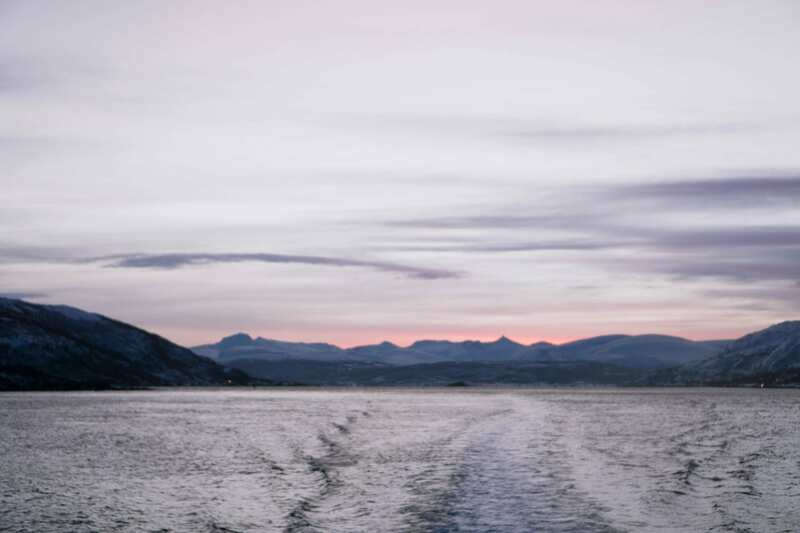 It can get incredibly cold, but most tours will provide warm sailing suits and gear. The view of the fjords were a bonus, plus the Nordic sky was just to-die-for. 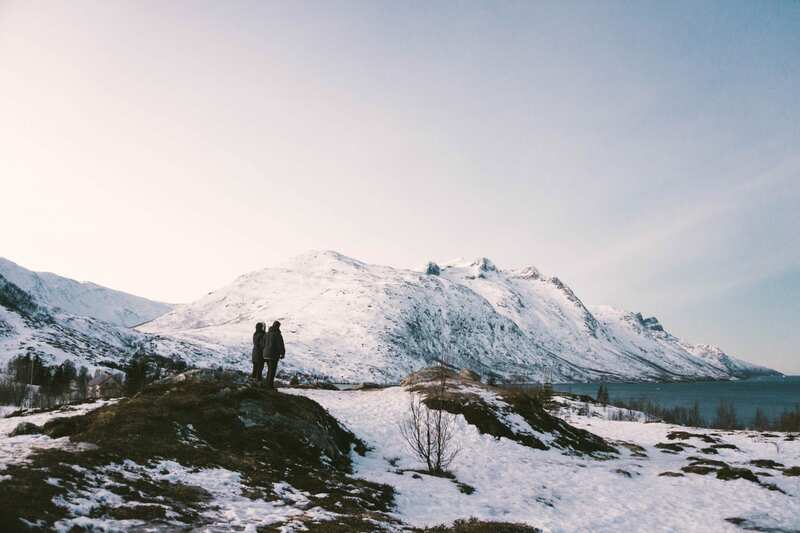 When in Tromsø, you definitely have to experience dog-sledding in the Arctic wilderness. And the best part? Doing it under the Northern Lights! This way, you get two experiences for the price of one! 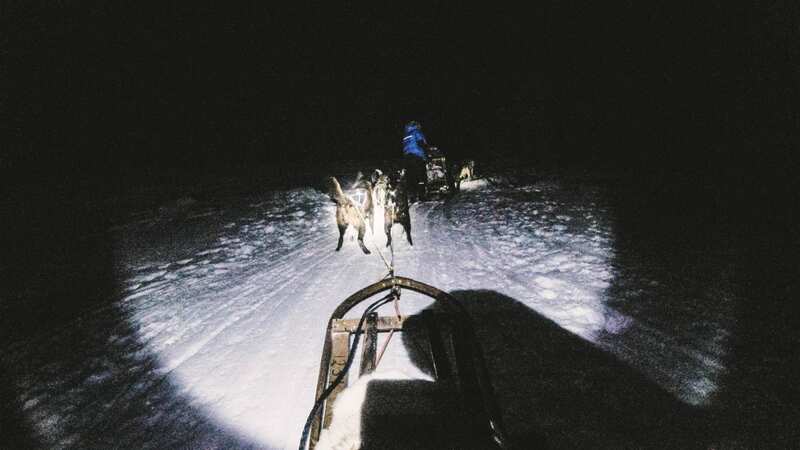 You pair up with someone and take turns being the musher and the passenger. It was a lot easier than it looks being the musher, and it takes quite a lot of upper body strength but it was extremely exhilarating! Definitely something I would recommend to everyone 🙂 The huskies go a lot quicker than you would imagine too! You can do it in the day too if you prefer, as you get much better photo ops! Whenever I travel, I always seek out what the locals eat. I mean, when in Rome right? 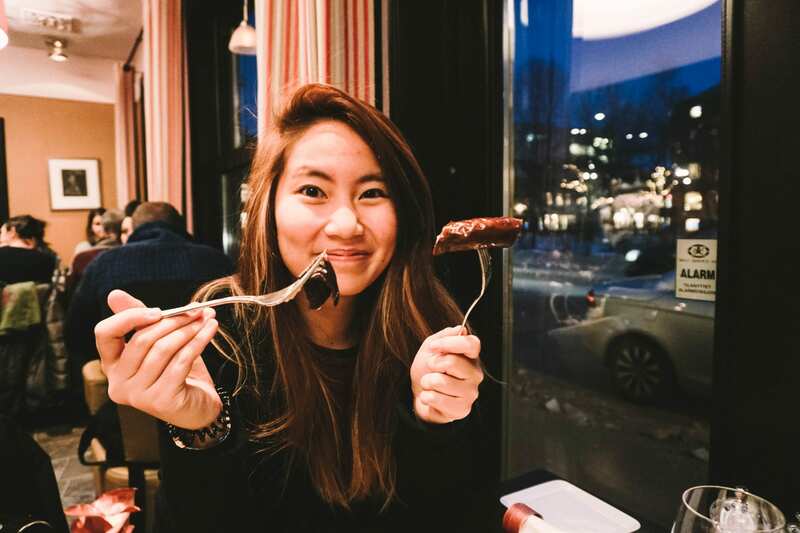 Or Norway in this case… So when you’re here, you should try some exotic meats that are part of the traditional Norwegian meal. 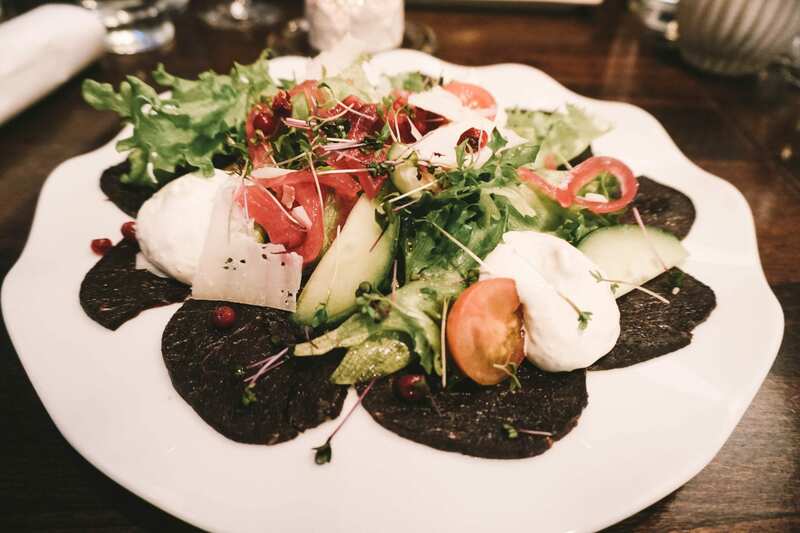 You can try anything from whale steaks to reindeer meat. 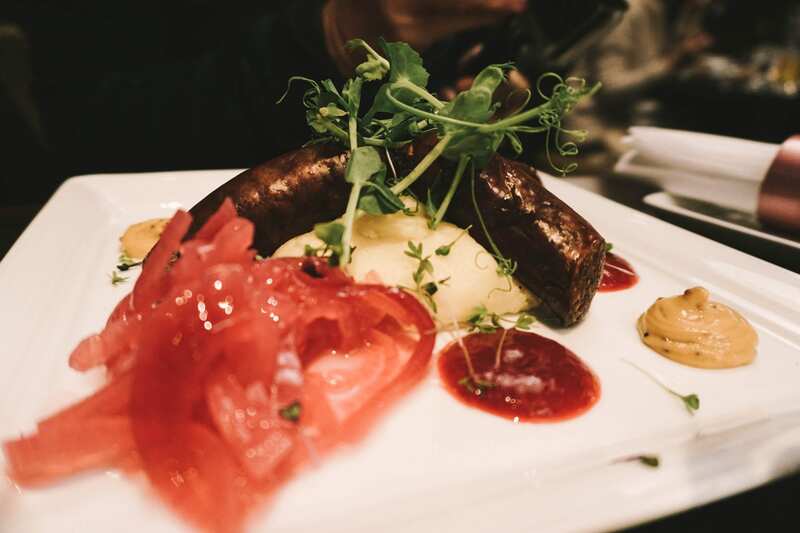 Go as far as your curiosity (and stomach) will take you. Located in Tromsø is Polaria, the world’s most northerly aquarium. It’s a great way to spend a few hours with some Arctic animals like polar bears. I mean, who doesn’t love polar bears?! Don’t forget to take a few steps back from the building and admire its architecture as well, as it’s really pretty unique! This was one of the most enjoyable days for us, as it was a slow-paced trip to Norway’s “Summer Island”. We were treated to some of the most beautiful landscapes along the way. We went with Edel, our tour guide, who made it extra personal and made multiple stops along the way for us to enjoy the scenery. 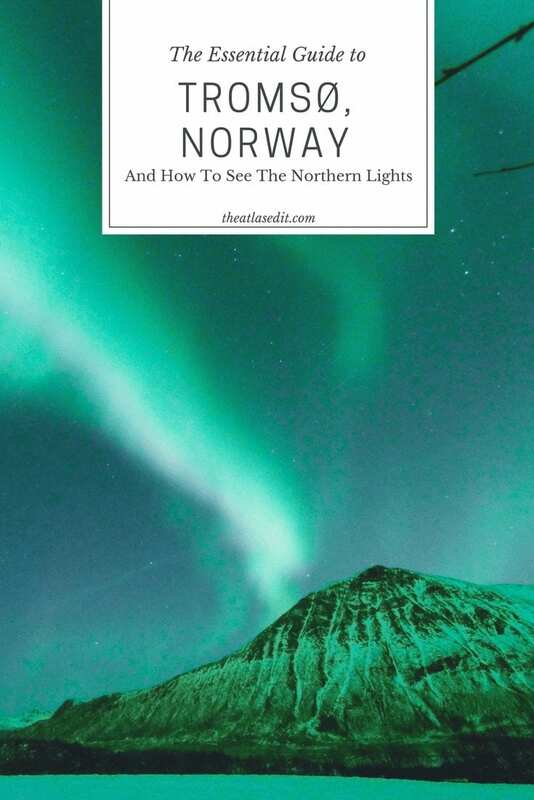 Have you been to Tromsø or seen the Northern Lights? Let me know what I’ve missed! Or share this with someone you know who would love a husky ride under the dazzling dancing lights! 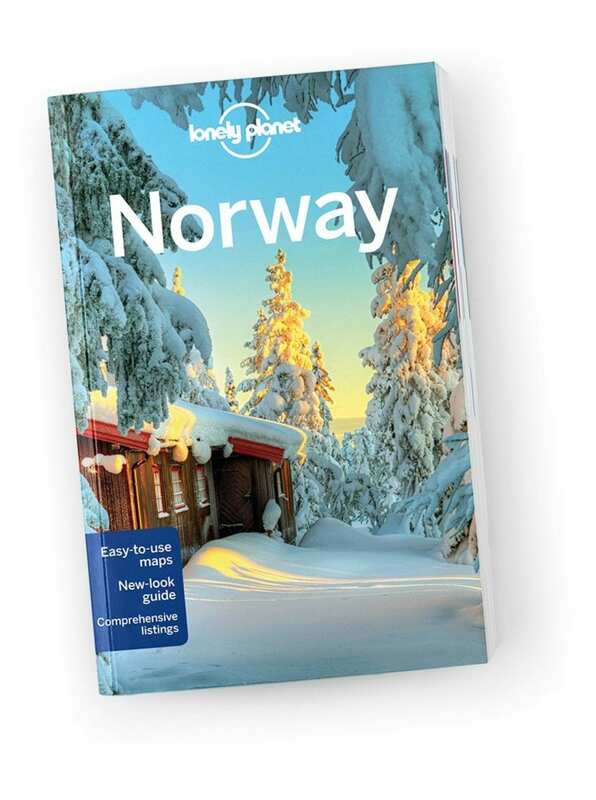 Further reading: Lonely Planet Norway Travel Guide is an up-to-date guide on what to see and skip, and the hidden secrets Norway holds. It features color maps and images, highlights and itineraries, insider tips, essential info, honest reviews and cultural insights. Covers: Planning chapters, Oslo, Southern Norway, Central Norway, Bergen & the Southwestern Fjords, the Western Fjords, Trøndelag, Nordland, the Far North, Svalbard, and the Understand and Survival guide chapters. 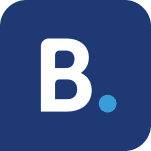 What a beautiful blog – I have fallen in love!! I have visited Norway very briefly for just a weekend and this post makes me want to return so much. 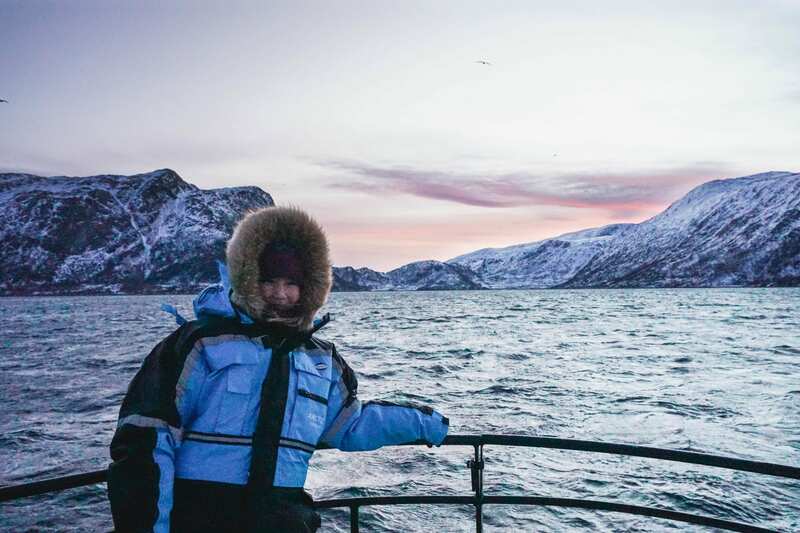 What an amazing experience to see the Northern lights and see whales in one trip – looks like an epic adventure! It is my sisters and my dream to go visit Tromsø and visit the Northern Lights. Hopefully, we’ll see it some day (: Beautiful photos and great read!! Top photography tips! 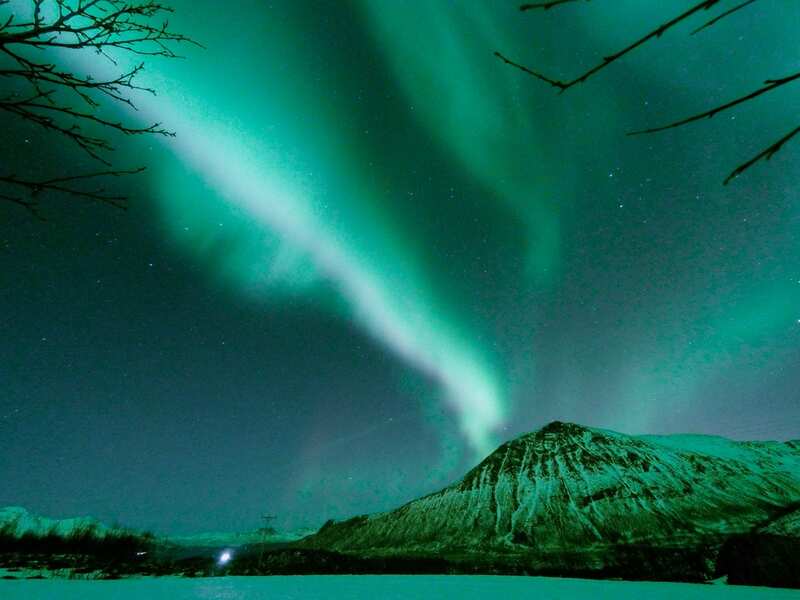 We ski in Norway each yea4 and have been lucky enough to see the Northern Lights but taking photos always defeats me …. will go armed with a tripod next time. I love the photography! I really would love to see the Northern lights one day. These tips about when to go and what to bring are fantastic! 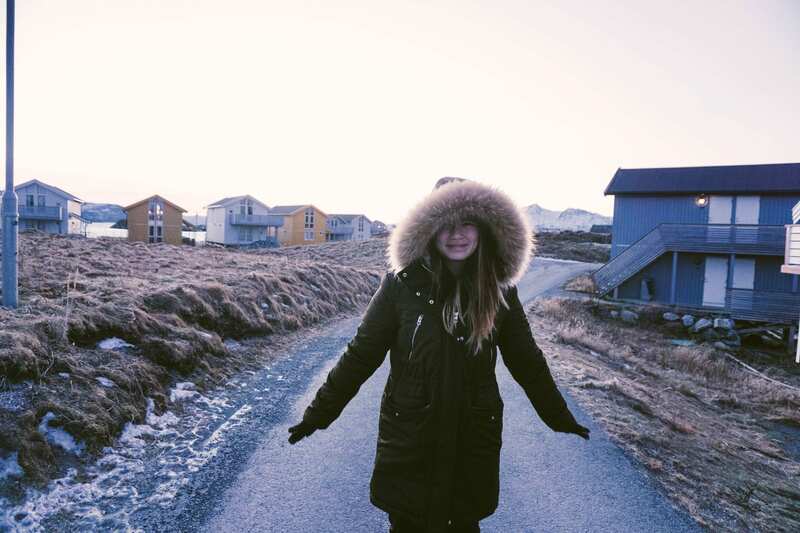 I have been to many destinations in Norway, but I haven’t made it to Tromsø yet! I have seen the northern lights, but I haven’t seen whales yet, so that would be my main point of interest. Plus, having a beer from the northernmost brewery in the world!! That’s my dream right there. Hopefully, one day to be able to check that off my list. 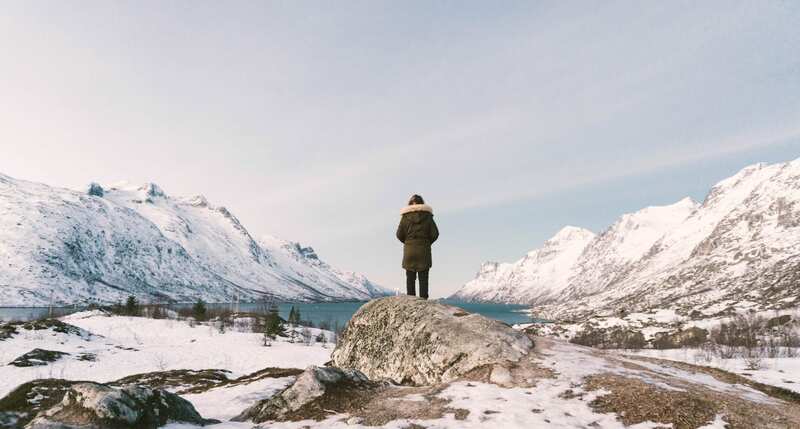 I fell in love when on how you wrote about your experience throughout Tromsø and it’s simply inspiring. I hope I am able to visit these places soon. Thank you!! Great article with great tips for beginners. It’s really a complete guide which is very helpful to all the readers who are planning to visit there. The pictures are so beautiful that I can’t wait to go there. Keep sharing such interesting articles.